The former Euclid YMCA sits empty as its future still under consideration. Comprised of two separate parcels of land, the YMCA sits on just over 5 acres of property nestled between neighborhoods, Briardale Greens Golf Course and across the street from Memorial Park. 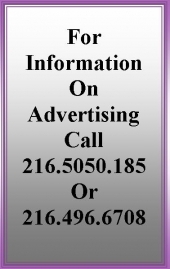 Cuyahoga County property records value the property at $2,077,000. 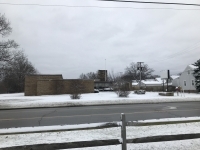 As part of an ongoing evaluation of the multiple pieces of property that sit vacant in Euclid, this article explores the YMCA property and its future. Beginning in late May, I began contacting officials at the YMCA to discuss plans for the property. After multiple calls and emails requesting interviews or comment; it wasn’t until late December 2018 when a response from the YMCA arrived. The official response: No comment. Holody said he couldn’t speculate on the YMCA’s plans, but commented that the YMCA allowed Euclid to conduct an asbestos abatement study of the building that estimated abatement costs at approximately $150,000. Asbestos abatement would need to be part of any plans to tear down or significantly renovate or reuse the building by any future owner. The City of Euclid conducted the abatement study to understand its options should the Administration consider buying the property. However, Holody stated that any thoughts of having the City buy the YMCA property are preliminary at best - this type of decision would need to involve City Council, any neighbors abutting the property and the public. If the City were to buy the property, it would have several options to consider in terms of future use. Additional greenspace, adding to the neighboring golf course or a housing development are among the options. Before any decisions are made about the property, should the Administration want to buy it, Euclid will need to identify funds to pay for abatement. “We’d hope to identify grant money to help (pay for asbestos removal)”, said Holody. He added that Euclid applied for a Federal EPA Brownfield grant seeking $400,000 to help the City address issues it faces as it tries to market or revive properties - like the YMCA property that requires investment to make them more marketable or usable. For now, the former Euclid Family YMCA building will sit idle until the YMCA of Cleveland decides to sell it to someone interested in the property. This includes the City of Euclid which is still evaluating its position regarding the property. Someone who lives in Euclid, enjoys writing and wants to stay informed. My wife and I have two children and live in the northeast part of the City. We are active in many Euclid activities.